A large piece of heavy cloth with a picture sewn on it using colored threads. E.g-1. His wife is very fond of the tapestry. 2. The seats of the chairs had been recovered in tapestry. 3. 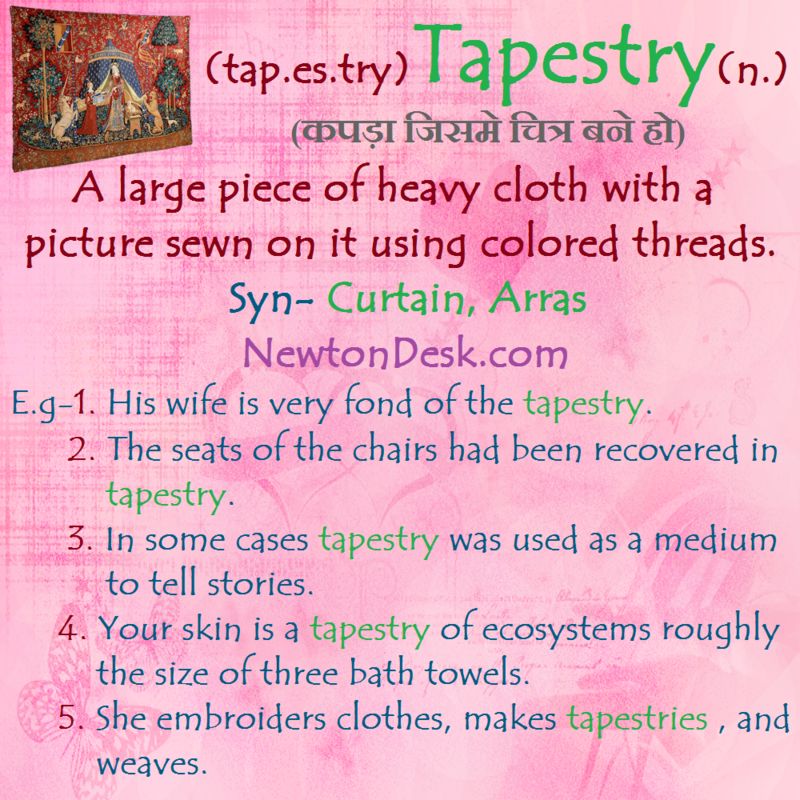 In some cases tapestry was used as a medium to tell stories. 4. Your skin is a tapestry of ecosystems roughly the size of three bath towels.